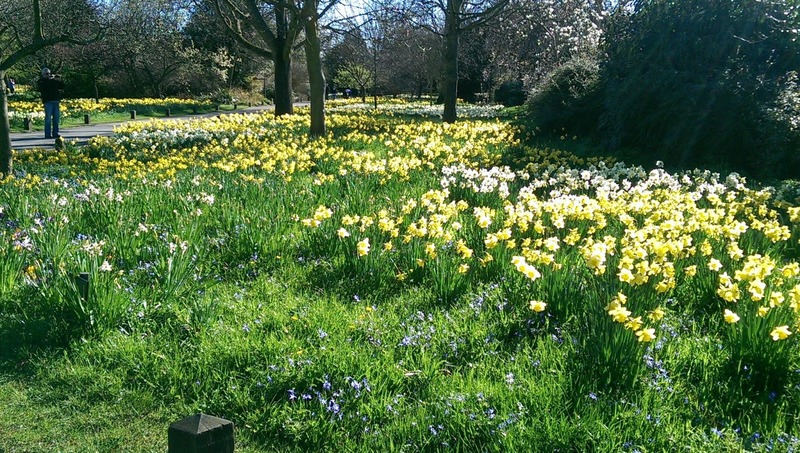 We're experiencing some much needed sunshine here in the UK at the moment, and it's been a glorious start to spring for the past week. Couple that with the fact that I've got 2 weeks off from uni and I'm in a very Good Mood. On Thursday I took a break from preparing for a uni presentation and pootled along in the sunshine to the Knitting and Stitching Show at Olympia. I've never been to something like this before, but to say I enjoyed it would be something of an understatement. Text to the lovely boyfriend a couple of minutes after stepping through the door; "Oh. My. Goodness. I've died and gone to a sweet granny-filled heaven." There was yarn and fabric and sewing stuff and sweet little old ladies everywhere. It was indeed heaven. I spent a blissful couple of hours wandering around and abusing my bankcard, before I decided it would probably be in my best interests if I left. I bought some alpaca yarn and a jumper pattern from PurlAlpaca, a couple of embroidery sets from Rowandean Embroidery, some fabric from Fabrics Galore, and some really sweet little heart scraps and buttons from NaturaLeigh. Watch out for progress on those projects soon. 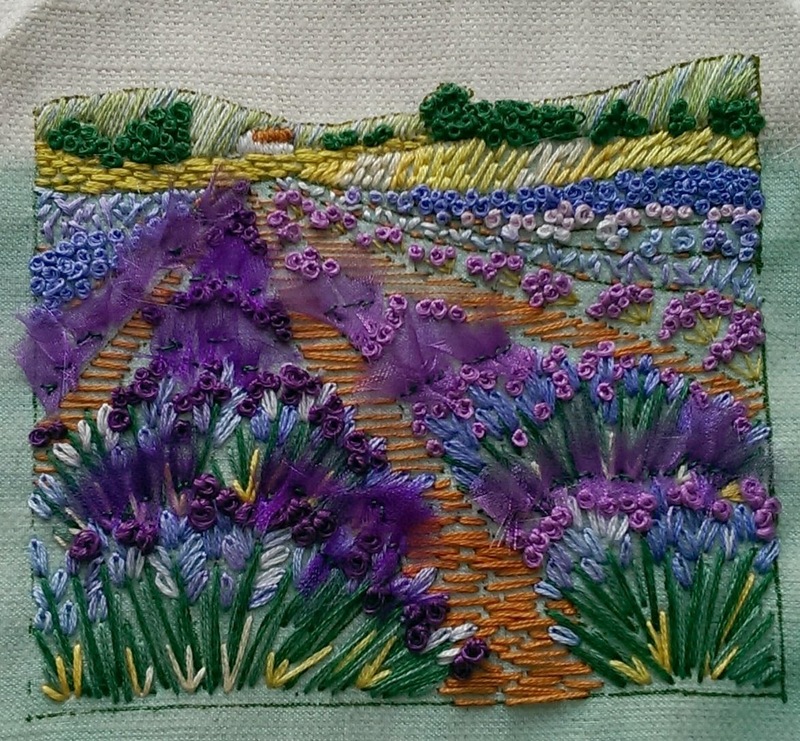 Actually, I already finished one - the Rowandean Lavender Fields embroidery kit. It took less than 24hrs, and will be framed and gifted to my mum for Mother's Day. 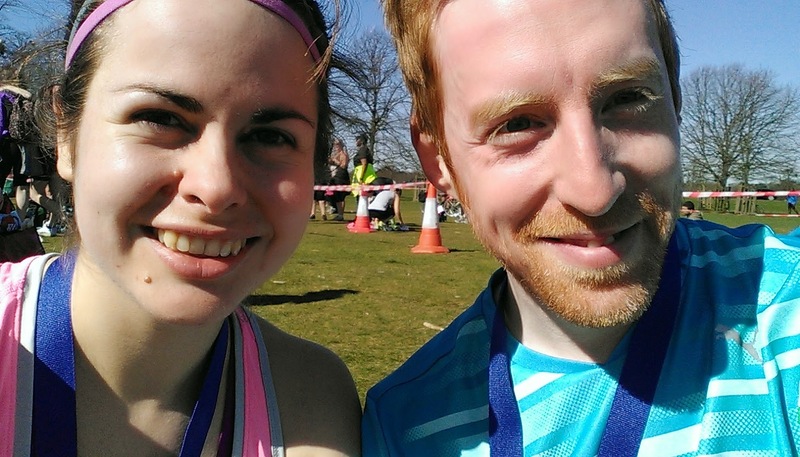 On Sunday the lovely boyfriend and I took part in the second of the series of Bushy Park 10kms, organised by Capital Runners. It really is a great race, 2 interesting laps, a varied field of competitors, incredibly family friendly - just an all round very nice relaxed race. We'd both run storming PBs back in January, which had kinda appeared out of the blue. Obviously keen to do better, but a bit unsure about how we'd run that fast in the first place we weren't entirely sure what sort of times we'd be able to manage on a very beautiful and sunny spring day. If anything, it was actually a bit too hot. I knew within a couple of km that it wasn't going to be a PB day. My splits were down on what I needed even though I felt that it was running quite hard. With each km that went by the running got harder and the splits got slower. At all the places where I'd felt surprisingly strong last time I was feeling tired and struggling. It was a real effort to try and keep pushing on, especially knowing that I was going to be disappointed with my time. Initially hopeful of something under 56 minutes I finally finished in 57:21. Only 40 seconds slower than last time, and it seemed everyone felt the unaccustomed heat a bit because the winning time was slower than January and even the lovely boyfriend finished a little way off his PB. But I've got another medal (surprisingly it's a different one to the January one!) and we went and had ice creams afterwards. 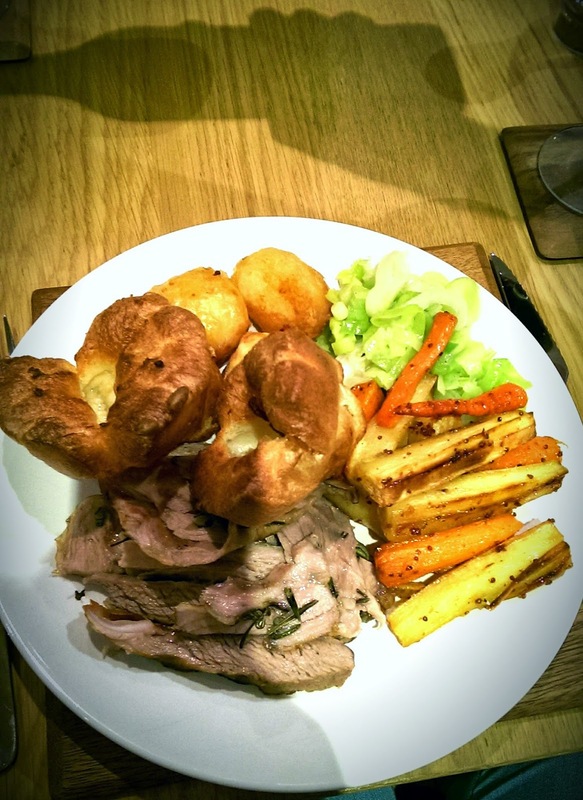 It was a beautiful day, and we made an epic roast dinner jointly with the flatmates that night. All in all, not so bad. I particularly like the 'wine-pouring' shadow!